Theme ideas are the perfect way to connect the dots, or in other words, teach a variety of topics under one umbrella. Picking a theme to carry throughout the year accomplishes several things. First, it makes the school year one your students will remember, probably for a lifetime. Themes can reinforce classroom material in interesting ways for students. Second, theme ideas can be used to help make curriculum planning much easier on the teacher. They're dedicated professionals who spend a lot of time preparing lesson plans and looking for ways to convey subject matter in interesting and informative ways. This makes instruction more effective. Without themes to tie everything together the instructional approach can be disjointed. A thematic unit can be an instructional plan where one umbrella topic provides "top cover" for other subjects. 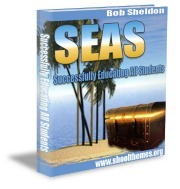 The main theme is used as the starting point and helps instruction flow to teach a variety of related topics. The single major theme idea makes it easier for students to learn, utilize and relate all material in a productive manner. Information is less usefull when it involves sheer memorization and thematic units help create opportunities for lesson plans with challenge and focused fun. Teachers are always searching for ways to make classroom instruction more interesting and using school themes is the perfect start. They can address every subject and classroom project imaginable. Theme ideas can be used in every segment of instruction and center on holidays, seasons, months of the year, school spirit and lots of other items. For older students topics can be related to current events or special school focus items that help build a unified student body. Integrating school themes into activities involving the entire student body helps creates a sense of belonging. 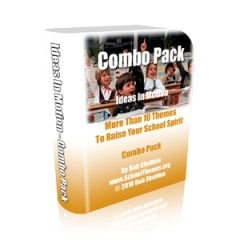 Theme ideas can be presented in a variety of formats. The days of simple printed banners are long gone. Online resources supporting school theme concepts may add efficiency and sophistication to your presentation. School themes are ideas in motion and can be used to help unify your staff and students. They are a great instructional reinforcement tool. Using theme ideas offers a great opportunity for teachers to create comprehensive instructional programs that are interesting and reinforcing. Keeping your students interested until the end of the school year can be a tremendous challenge. Old themes that have been used for years no longer inspire. Today’s students are savvy and much more aware of the world outside the classroom than ever before. Use school theme ideas to create unified lesson plans that inspire and students will become passionate learners. 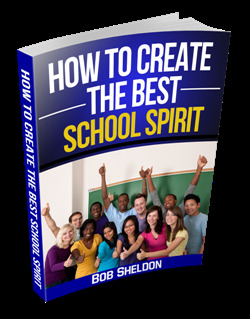 Here's a review of the benefits, purpose and strategies a school theme provides. Leave School Theme Ideas and Get Your School Theme!